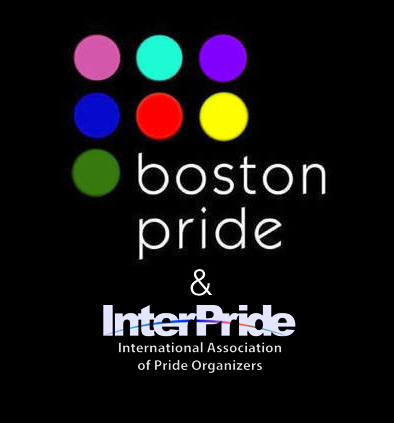 Boston Pride continues to take a major role in InterPride, the international organization that ties together more than 220 Prides from across the globe with two of its leaders in key positions. Boston Pride Vice President Linda DeMarco was recently elected Co-President of InterPride at its annual meeting in Indianapolis, Indiana last month. Boston Pride President Sylvain Bruni was elected as an InterPride Regional Director representing the North East Regional States. This adds to the strength & commitment to InterPride from Boston Pride which is one of the five founders of the org. InterPride was established in 1982, in Boston, when representatives from various Pride organizations across the U.S. gathered to share their common experiences & support each other. DeMarco stated, “It is truly an honor to lead InterPride as it has its roots in Boston where the commitment to advocating for the LGBTQ community is without question. I look forward to leading InterPride as we need to ensure that all Prides around the world are represented & have a voice.” DeMarco is Co-President with Brett Hayho of Australia. Together they will set the vision & the agenda for InterPride & its board of 49 members from across the globe. Previously DeMarco served as InterPride’s Treasurer. In 2012 we talked to Boston Pride when they hosted the 30th Annual InterPride World Conference on OUTTAKE VOICES. Boston Pride produces events & activities to achieve inclusivity, equality, respect & awareness in Greater Boston & beyond. Boston Pride Week 2018 will be held June 1st to 10th. LISTEN: Filmmaker Nicole Conn Talks New Film “Nesting Doll"